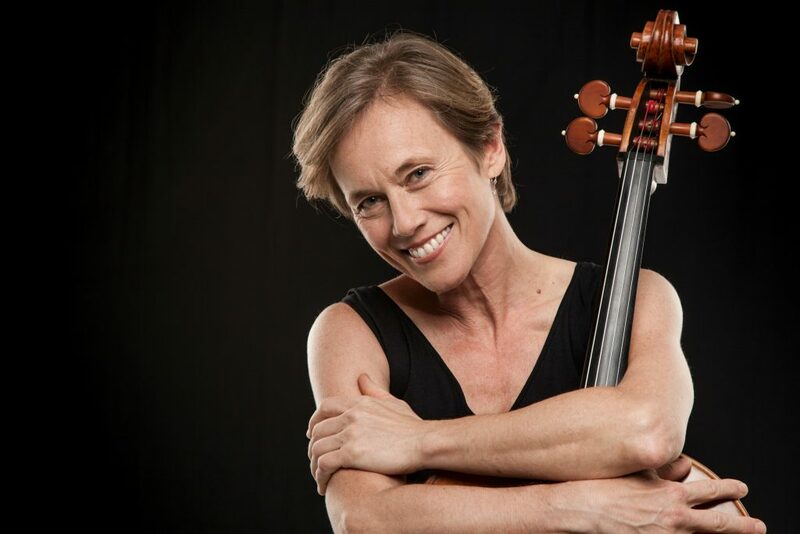 Chamber musicians likely don’t call to mind bullying or cliquishness. 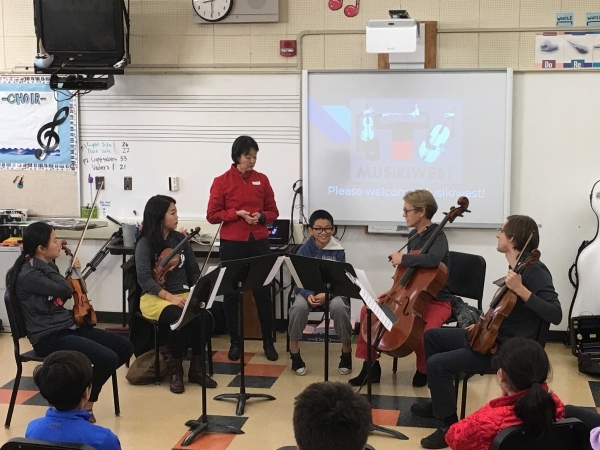 The artists at Musikiwest, a nonprofit organization that promotes empathy, conflict resolution and peaceable communities through music, use this unlikely association to their advantage when teaching students how to communicate more effectively with one another. 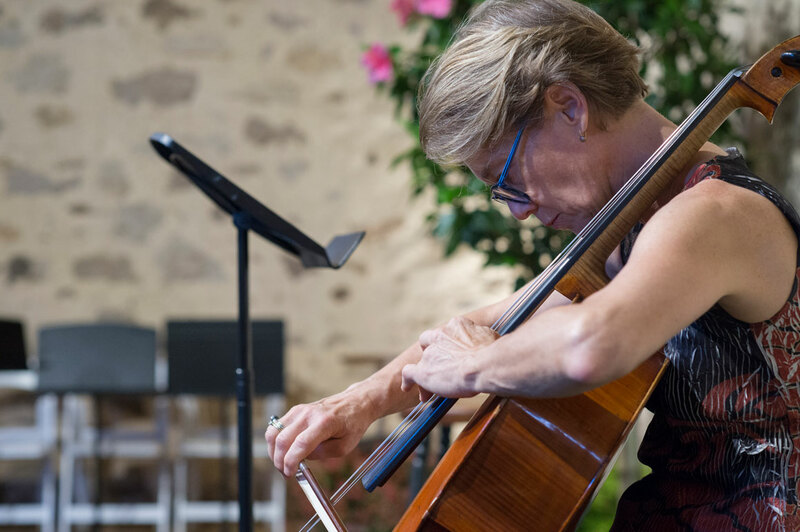 In its scripted, 50- to 80-minute-long “open rehearsals,” Musikiwest will lead middle and high school students to believe they are about to experience a chamber music performance. As the rehearsal unfolds, so does the drama. Students witness tension among the musicians — mean comments and menacing looks that derail the productivity and positivity of the “rehearsal.” Later this month, Redwood City and Los Altos students are scheduled to watch the rehearsals and a public performance is set in Palo Alto. “It’s almost like a reality show,” said Michelle Djokic, artistic director and founder of Musikiwest. The performance begins with a few minutes of uncomfortable tension before psychiatrist Rona Hu, posing as a bystander or parent, intervenes. Hu is one of the founders of the Communication Health Interactive for Parents of Adolescents and Others at Stanford University, which was created in response to Palo Alto’s two teenage suicide clusters between 2009 and 2015. Musikiwest acts out three scenarios with students — one musician picks on all others, all musicians gang up against one and one-on-one bullying. With Hu’s guidance, students draw from their own experience and from what they’ve just witnessed to identify sources of conflict and to propose solutions. They also delve into the bully’s point of view with students. Rather than gang up on the bully to empower the victim, said Hu, they speak with and give the bully constructive feedback. “It was so easy to turn into a mean person that I realized maybe sometimes I have to watch it,” Murrath said. Murrath noted that these scenarios can arise in any professional field and hopes students learn that sometimes their own insecurities have less to do with them and more to do with a bully’s behavior and insecurities. After Musikiwest’s “open rehearsals,” which are offered to schools free of cost, the group then closes with a concert open to the public. Its next concert, hosted in cooperation with the city of Palo Alto, will take place on April 19.